You’re standing under the dazzling show lights, surrounded by a crowd coming alive with anticipation for the next car to roll onto the auction stage. It’s the one you’ve been waiting for. The one you saw earlier that day in the inspection tent. Now it’s on the stage and the bids are open. You put your hand up and soon begin vying with two other bidders while the staccato of the auctioneer’s voice permeates the sound system. The price is more than you were hoping for, but you’re still in the bid. Until you’re not. The gavel comes down and the car is gone. What happened? Did you get out too soon? Things happen fast at a collector car auction. This is not the worst scenario. Bidding up outside of one’s price range and going home with something packaged with one too many surprises are real possibilities if you’re not careful. 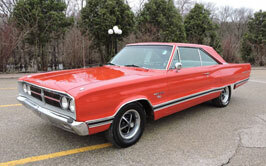 Collector car auctions are almost a hobby within a hobby. It is a game you have to be ready to play. 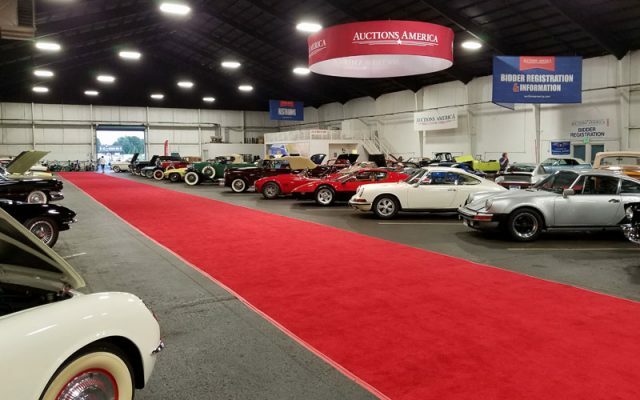 Author Patrick Krook of Show Your Auto.com calls it “The Art of War: Tactics and Strategies for Capturing Some Screamin’ Deals at Auctions” in his article about your moment under the lights of the auction stage. Click the link to read the article. He wrote this for the Mecum Auctions. Who’s all in? Knowing what you’re looking for will help you narrow down which auctions you should consider attending. Some auctions are better known for certain types of cars, attract different clientele, and sell varying degrees of quality when it comes to the cars. 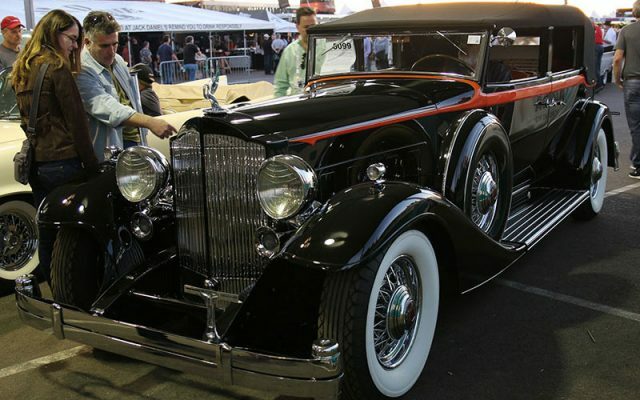 Also, some auctions have reputations that draw the most expensive cars. If that’s not what you are looking for then find an auction which attracts vehicles in your price range. A regional auction might offer better deals, but you could be looking at project level cars which may require you to put more work in the car to take it to show quality. Popular collector car auctions like Barrett-Jackson and Mecum are likely to have a wider range of cars which don’t require restorations. Most are certain to sell for higher prices though. Have an idea of what you’re looking for? Find a classic car auction near you using the Cars On Line Events Calendar. Usually each auction will have a listing of the cars to be offered. Do your homework here. Once you know what type of car you want, go through auction results and formulate an idea of what the going sales prices are for vehicles in which you have an interest. The Cars On Line Market Trends Report is a good place to start. There are also many price guides published which list average values on most collector cars. We recommend the value guide published online by Hagerty Insurance. Then educate yourself about the auction house fees, sales commissions, states taxes and transportation costs. Total everything up and know how much you can afford to bid. Are you willing to do some restoration work yourself? Factor that into the total price. Make a list and itemize everything so you know exactly how much you can afford to bid. You don’t want to be looking at the car for the first time as it’s crossing the auction block. Once the auction is being advertised, you might be able to look at most vehicles for sale online at the auction website. Look for the types of cars you’re interested in and familiarize yourself with the details you’ll need to know. Arm yourself with the right “tools.” Where do you look to verify the engine numbers? What kinds of components are original and what are typical replacement parts? If you are physically present at the auction you can inspect the cars before they cross the auction block. This is your chance to put yourself in a position and not be blindsided when you’re on the auction floor. Do as much research ahead of the auction as possible. If you can get information about the owner, call them. If you can get VIN numbers, check the VIN decoding guides before the auction. Collector car auctions will require you to register as a bidder. Usually they require a letter from your bank explaining your capability to pay or finance. It’s generally easier to do this online ahead of time, but onsite registration is usually available too. Inquire with the auction about the best method. You’ll find out more about bidder fees during the registration process as well. Planning ahead can help you be sure about your bid, but there’s another aspect of many car auctions that deserves mentioning; the late entry. These are cars added after official media is released and online rolls are called. Often they are entered in-between regular lot numbers. Competition for these cars could be vastly reduced. “If overall attendance is low, or too many of the same model show up, the last-minute car could be a very good buy for you,” says Krook. But you’ll need to evaluate these cars in-person at the sale, with the limited time available before it heads to the auction block. Relying on last-minute entries for a good deal introduces more risk, which is why you might want to be fully prepped on what you are looking for before the bidding starts. A second opinion will save you money. Know any collectors who are experts on the type of car you want? Convince them to take a look at the car with you and offer their opinion. If you’re operating with a strict budget and can’t afford a mistake, or if you’re looking at a particularly high dollar car, then hiring an expert could be a worthwhile, and smart, investment. This might introduce another cost to consider, but two heads are better than one and someone on your team who knows what they’re doing can help you avoid making the wrong call when it comes to bidding. It also makes the prospect of bidding on late model entries more feasible. These are all steps to take before the day of the auction, when you have the time to crunch the numbers, do the research, and breathe steady far away from the hype that the auction atmosphere creates. This is your time to get your game plan straight so that you’ll know what you’re doing once the auction begins. In our next article, we’ll be on the auction floor, ready to help you get your new collector car at the right price. In our next article in this series, we’ll discuss some things you’ll need to know once you’re on the auction floor.